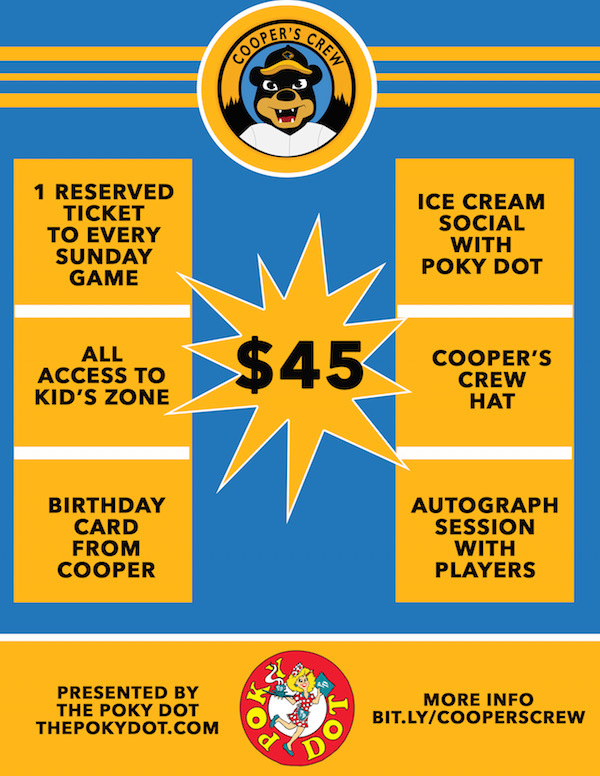 West Virginia Black Bears fans ages 12 and under can now sign up for Cooper's Crew! This special membership includes tickets to all 7 Sunday games , Black Bears gear, and exclusive access to fun events. A membership to Cooper's Crew is just $45, making it one of the best deals at the ballpark. Check out the flyer bellow to learn more and click here to join Cooper's Crew today!